Most underdogs don’t take home the trophy. 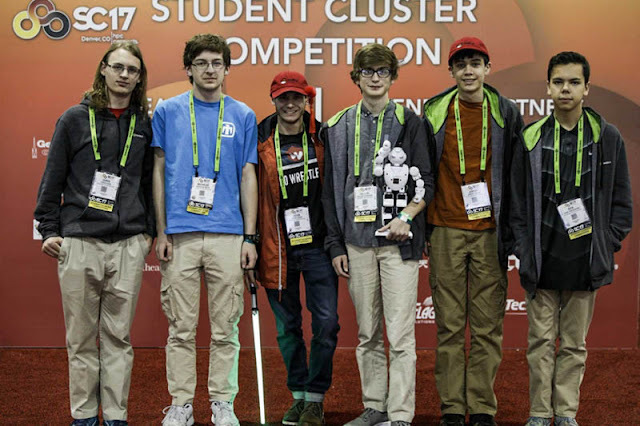 But that didn’t stop the Sudo Wrestlers from competing as the first all-high school team in the 11th annual Student Cluster Competition, held last week at the SC17 supercomputing show, in Denver. Dozens of undergraduate students in 16 teams from some the world’s most lauded universities joined the high schoolers, all armed with the latest NVIDIA Tesla V100 GPU accelerators. Their aim: to create small computing clusters for a non-stop, 48-hour challenge measuring how fast they could complete scientific, high performance computing workloads.